Once regarded as a “dad drink,” whiskey has exploded in popularity in the last decade. Cool retro shows like The Marvelous Mrs. Maisel, The Crown and Mad Men have fueled an interest in all things mid century–how they lived, what they wore, and what they drank. The rediscovery of whiskey has inspired a new generation of whiskey bars, many carrying exclusive inventories of rare and premium varieties. And then there’s the Japanese whiskey phenomenon, which has taken LA by storm. Commercial whisky production first began in 1924 and today Japanese whiskey-single malt and blended whiskeys-are some of the most sought-after in the world. Join fellow whiskey lovers at Whisky X on Friday Jan. 25 at Barker Hangar in Santa Monica. There will be 60 whiskeys to taste, including Bulleit, Bushmills, Glen Moray, Loch Lomond, Calumet, the Irishman, the Sexton, Wild Turkey, Tin Cup and Westland, along with music and food trucks. Getting thirsty? Here’s a guide to some of LA’s best whiskey bars. When it opened In 2007, Seven Grand signaled the rebirth of great cocktails in Los Angeles. This comprehensive whiskey bar features one of the largest selections of premium whiskeys in the West, with bottles displayed in vintage cases from the custom-designed building’s original proprietors, Brock & Co. Jewelry Emporium. Alongside hand-crafted cocktails, state-of-the-art beverage delivery systems, live music, pool tables and private party areas, Seven Grand is home to the ever-popular Whiskey Society, a unique membership program providing guests the opportunity to further explore the spirit via education and experimentation with comprehensive tastings featuring Master Distillers, International Brand Ambassadors, and notable members of the liquor industry. 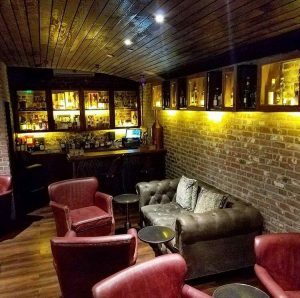 Tucked behind Seven Grand DTLA, Bar Jackalope is Seven Grand’s sipping library, offering comparative whiskey flights and education. The intimate bar boasts over 120 varieties of whiskeys, including rare international and domestic varieties. 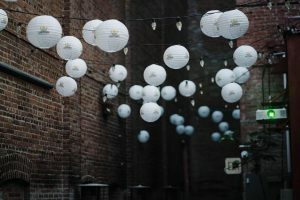 With seating for 12 inside and 12 on its outdoor Cigar Patio, Bar Jackalope offers a relaxing respite for those looking for a place to unwind with friends, both old and new, while a Coltrane record spins on the turntable and oil lamps color the night. To preserve the soothing ambiance, Bar Jackalope only hosts groups of four or fewer. Reservations are available for its Whiskey Locker Members, and all other seating is done on a first-come basis. The Whiskey Lounge is an exclusive Whiskey Room situated downstairs at Miro Restaurant. Upon entering the cellar-like staircase and reaching a dimmer, you’ll step through a more intimate lounge set apart from the bright, modern lines of the main dining room. 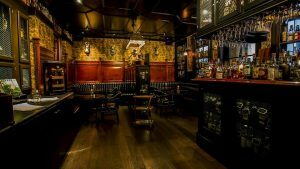 The Whiskey Lounge holds one of the most inclusive and eclectic whiskey collections in the city, with a menu specializing in classic cocktails. For a truly truly immersive and intimate private experience, gather at The Vault, an invite-only whiskey tasting room offering some of the rarest and most highly allocated spirits in the world. Guests have the full attention of a knowledgeable whiskey expert who will guide aficionados of Scotch, Japanese, American and other world whiskeys through customized flights that explore a desired region or style. Guests are given the opportunity to enjoy limited-edition whiskeys, with the option to purchase full bottles, which can later be stored in lockers. Sushi. Art. Whiskey. With every detail in place, Mrs. Fish welcomes diners and drinkers, locals and tourists alike to experience modern Japanese cuisine and a robust whisky program in a stunningly designed, art-filled DTLA oasis. Located 15 floors below Perch (same ownership), Mrs. Fish combines food, art from the hottest galleries in Tokyo, and drink to create an unparalleled dining and drinking experience in an immersive environment that is at once Zen-like and provocative. Classic Japanese traditions evoking the chef’s memories of home cooked meals with items suitable for any time of the day and for every palate. Billing itself as Little Tokyo’s neighborhood bar, Wolf & Crane proudly pours Japanese whiskey daily, along with a tantalizing array of craft cocktails. 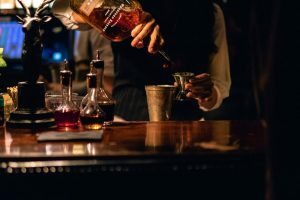 Proprietors and longtime DTLA residents, Michael Francesconi and Matthew Glaser founded this evocative, late-night watering hole as a place for the community–a bar where you can relax, gather, party, politic, romance, seduce, dance and drink–and of course, to fall in love with Japanese whisky. Located in the historic Far East Building in the heart of Little Tokyo, Far Bar offers something for everyone looking for a good time! 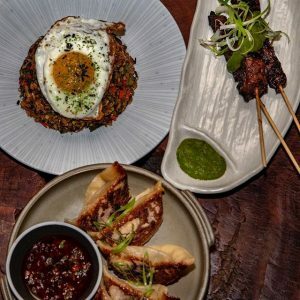 Although their main claim to fame is a notable bourbon and Japanese whiskey selection, Far Bar also offers signature cocktails and craft beers to wash down with an Asian Fusion gastropub menu created by their James Beard Chef. If you’re looking to explore a range of whiskeys, try the Whiskey Flights–each flight consists of three .75 oz pours.